How We Test Fridge Freezers - Which? What makes a fridge freezer great? See how our tests reveal the fridge freezers that help ensure your food is at its freshest when you eat it. 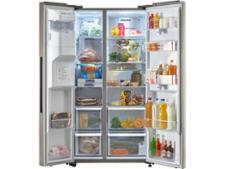 Only the very best fridge freezers can be Which? Best Buys. Our video, above, shows the difference a Best Buy fridge freezer will make to your food, and why you should avoid one that falls short in our tough tests. We’ve tested the latest fridge freezers to help you find the best one for your home. How well will the fridge freezer chill and freeze my food? Will the fridge freezer keep my food safely chilled and frozen? Is the fridge freezer energy efficient for the amount of food it will hold? Can you rely on the fridge freezer thermostat to set accurate temperatures? Is your fridge freezer leaving you feeling frosty? Join Which?to access all our in-depth fridge freezer reviews. Already a member? Log into find your new fridge freezer. How quickly will the fridge freezer chill and freeze my food? The faster your groceries cool, the longer they’ll last, the more nutrients they will retain and the fresher frozen food will be when you defrost it. Our tough tests are designed to reveal what a fridge freezer will be like in your kitchen. That way, you know that the best fridge freezers will create the best storage conditions for your fresh and frozen food and help keep your food fresher for longer. To do this, we set the room temperature to 25°C and part-fill the compartments with gel packs to simulate food already stored inside. Once these have cooled, we add more gel packs – roughly equivalent in size to what you’d buy during a top-up shop for fresh food – and record the time taken for these packs to cool. The best fridge freezers chill and freeze in a matter of hours, whereas the worst struggle to complete our tests during two whole days of testing. We use food-equivalent gel packs to see how good fridge freezers are at keeping your food safely chilled and frozen. It’s crucial that a fridge freezer keeps your food safely chilled and frozen around the clock, even when your kitchen heats up and cools down. This is because an evenly cool environment is essential for preventing harmful bacteria from growing and stopping food from spoiling faster than necessary. So we raise the temperature in our test chamber to 32°C and see whether the gel packs inside remain safely chilled. We then lower the room temperature to a chilly 10°C and recheck the temperature of the gel packs. 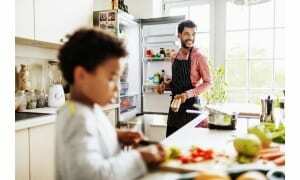 How much will the fridge freezer add to my energy bills? It’s impossible to reduce a fridge freezer’s running costs, as you can’t switch it off to save electricity. So it’s a good idea to buy a fridge freezer that’s energy efficient for its size. We measure how much energy each fridge freezer uses to keep cool over 24 hours, as well as how much it uses to chill and freeze fresh food. 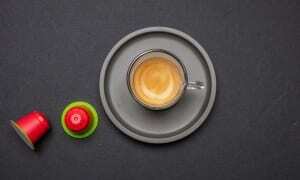 We then calculate what this is likely to add to your energy bill. To see whether a fridge freezer is cheap to run for its size, we also rate its energy use against the amount of useable storage space it offers – you can see the results on the technical specification tab for each fridge freezer review. How much food will I be able to store in the fridge freezer? Don’t rely on claimed capacities to tell whether one fridge freezer is bigger than another, as manufacturers typically measure volume with all of the shelves, drawers and door racks taken out, which makes you think you have more storage space than you actually get. When we measure storage capacity we leave everything in place and tell you the amount of space you can actually use for storing groceries. 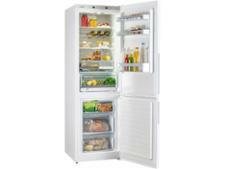 Check the technical specification tab of each fridge freezer review to compare realistic sizes. Can you trust the fridge freezer thermostat? Unless you check with a thermometer, it’s impossible to know whether or not your fridge freezer has chilled and frozen to the right temperatures when you first set it up in your kitchen. So we test how accurate the recommended thermostat settings are by following the instructions and recording the temperature of gel packs in both the fridge and the freezer compartments. The best fridge freezers get the temperature spot on, but the worst are way off - meaning your food would be stored at potentially unsafe temperatures and go off more quickly than it should. How easy is the fridge freezer to use and clean? Some fridge freezer are easier to use than others, and a seemingly minor flaw will soon become a major drawback after you’ve experienced it on a daily basis. 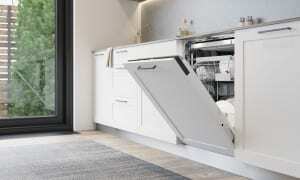 So we rate ease of use, looking at aspects such as how sturdy the shelves and drawers are, how smoothly the drawers slide in and out, and whether you can fit a two-litre bottle of water in the door rack. We also spray cherry juice inside each fridge, let it dry to a sticky mess and then rate how easy it is to clean, to see how likely food and drink spills are to seep into hard-to-reach spots and crevices. The best fridges are easy to keep clean. 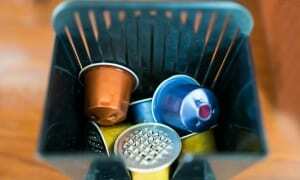 The worst have dirt traps that can harbour food spills and nasty bacteria. 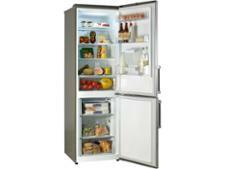 The best fridge freezers are easy to clean and don't have dirt traps that can harbour food spills and nasty bacteria. Should I buy this fridge freezer? A fridge freezer needs to score 72% or above to earn a Best Buy award. To qualify as a Best Buy a fridge freezer must score 72% or more in our tough tests. Fridge freezers that score 45% or less are highlighted as Don't Buy models to avoid. Our reviews also reveal our expert verdict on whether we think each fridge freezer is worth buying, to help you avoid spending hundreds on a fridge freezer that's bad for your food. We constantly improve our fridge freezer tests to ensure only the very best models are Best Buys. This means that newer models have been tested and rated in a slightly different way to older models - but you can still use the overall test scores to compare one fridge freezer with another. The section below outlines the key changes we’ve made to recent tests. You can see when each fridge was tested under the ‘Technical specification’ tab in each review. Our convenience and cleaning tests were based on visual assessments and an inventory of features. We also used different methods of calculating running costs, which means these figures can be used as a rough guide to what you’ll pay and shouldn’t be compared. However, running costs don't contribute to the total test score, so this change doesn't influence performance ratings. In 2015, we overhauled the way we investigate how easy fridge freezers are to use. Our new convenience test assess how easy the storage features are to use and access, how loud and accurate the alarms are, how good the lighting is inside, and how easy models are to program. We also changed our cleaning tests, as Which? members told us that, when it comes to ease of use, their number one priority is knowing the fridge is easy to clean (based on a survey of 1,092 Which? members in July 2014). We made further improvements to our testing in April 2018. Our ease of use tests now include a test that measures how much force is required to open the fridge and freezer door 10 seconds after it has been closed. Some models create such a strong vacuum when the door is closed that opening it again shortly afterwards becomes very difficult. We've also improved our noise assessment and placed even more emphasis on how a fridge freezer performs when it comes to its essential tasks of chilling and freezing. In light of rising energy costs, we now take into account the amount of power a fridge freezer uses to chill and freeze fresh food – to give you a more accurate idea of how each model might impact on your energy bills. Because our energy calculations are now more accurate, running costs for models tested before and after 2015 shouldn’t be directly compared. Give your food the best possible home to keep it as fresh and nutrient-rich as possible – choose one of the best fridge freezers. At Which?, we continually monitor and vary the assessments that underpin our reviews to take account of changing standards and areas of concern. In September 2017, we called on manufacturers to immediately stop producing refrigeration appliances with flammable plastic backs. Since then, and in the apparent absence of any action from the newly-created Office for Product Safety and Standards (OPSS), we’ve been conducting fire testing on refrigerator backings. So far, we’ve tested backing samples from more than 80 different refrigeration appliances, across every refrigeration brand that we have on our site. We applied an open flame to each sample and any product that was unable to withstand the flame for 30 seconds has been deemed unsafe and has been made a Don’t Buy. It's important to note that the material used in the backing allows an existing fire to spread – it isn't the cause of fire itself. Join Which? to access all our in-depth fridge freezer reviews. Already a member? Log in to find your new fridge freezer.